Sierra Bible Church wants Truckee to know that they love our community and the people with in. They have reached out in many ways to people in need and are excited about \"Following Jesus and Making Disciples\" So through that they offer assistance to people in need. The staff is friendly and excited about serving people so if you know someone in need call or stop by. Your opinion matters. Leave A Review Or Edit This Listing for Sierra Bible Church Food Pantry. Sierra Bible Church is a church that is about Community and in doing that we provide a pantry for people in need. 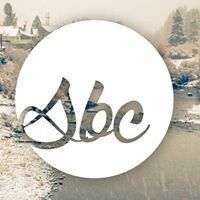 (Canned goods, non-perishable foods and some toiletries We love the town the Truckee and want to be there for people to meet needs and share the love of Christ. We always need more information on our pantries. If you know of any details, volunteer information, website, hours or more description information about Sierra Bible Church Food Pantry please add a comment (below the map on this page), with information. We will then display this for all visitors on this page.